St. John’s wort is probably one of the most widely-recognized herbs because of its association as an antidepressant. Long before Prozac, people were using this to treat ‘melancholy.’ It has been used as a healing plant in many cultures throughout the milennia, and many people regarded it as having magical properties, able to dispel evil spirits. While we may not consider it useful for protection from spirits any longer, it’s still a good herb to have around, and fortunately, should grow just about anywhere. St. John’s wort is native to Europe, but has spread far and wide and has adapted itself in many areas, including North America. It’s an upright perennial of moderate height (2-3 feet, I find) with delicate leaves and countless clusters of star-shaped yellow flowers that bloom throughout most of the summer. It will grow in poor soil, and is often found in the margins on the edges of wooded areas and fields. St. John’s wort prefers conditions on the dry side, but is quite adaptable. I planted some, then ended up finding a bunch of it growing wild along the edge of the woods in a number of spots on our property. It will spread, but not quickly, at least in my area. 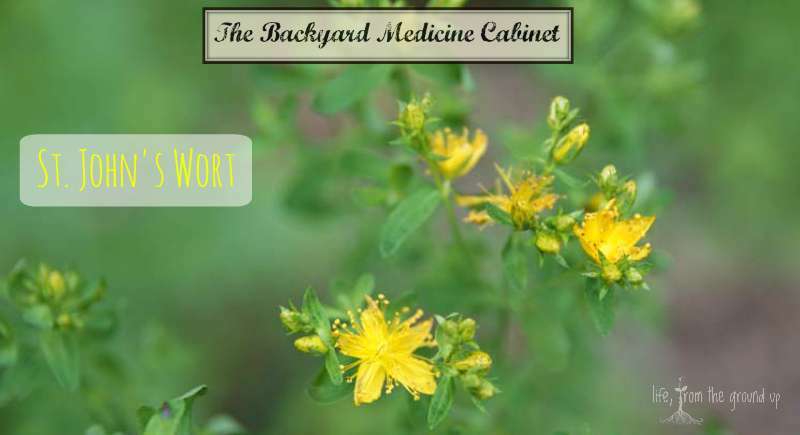 What’s St. John’s Wort Good For? 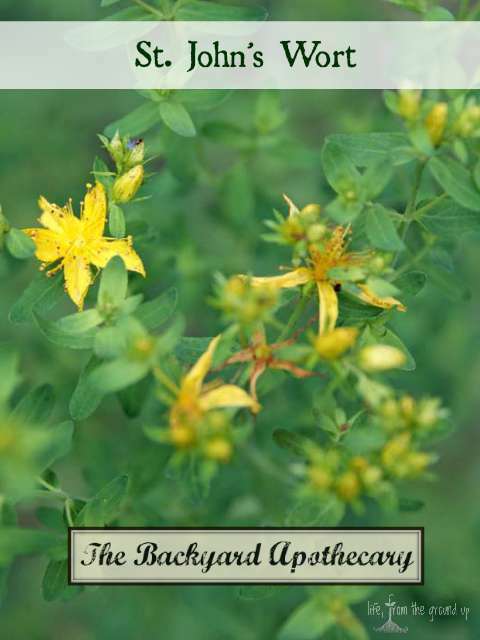 While it’s certainly most commonly used as an antidepressant supplement, the bright yellow flowers from St. John’s wort will also make a potent oil infusion that’s excellent for a wide variety of skin issues, such as minor cuts, scrapes, rashes, and especially sunburn. In addition to mood-related uses, it is thought to be effective in treating anxiety and sleep disorders, has demonstrated some antiviral capabilities, and is occasionally used for digestive issues. To use as a mood booster, steep about a teaspoon of flower and leaf tips (fresh or dried) in hot water for 10-15 minutes and make a tea. Drink a cup or two a day, and don’t expect immediate results. It may be a few weeks before you start to notice anything. Infuse mostly flowers and buds (fresh, not dried; some leaves are okay) in oil for 4-6 weeks to create a topical healing balm. The oil should turn red after a while due to the pigments in the flowers. St. John’s wort should not be used in combination with other antidepressants, should not be used while pregnant or nursing, and may cause photosensitivity in some people, so if you’re using it a lot, pay attention to your skin when you head out into the sun. It’s easy for me to get this mixed up with another plant that has yellow flowers. Thanks for the info!